Hamilton is also CEO and President of the Executive Next Practices Institute, a research and advisory think tank comprised of several thousand C-level executives who meet to uncover new trends, ideas and approaches to today’s strategic and operational business challenges. Scott’s industry exposure has been both broad and deep. 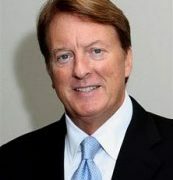 He has worked with executives and leadership teams in companies such as Parsons (Engineering Services), Worley (Engineering), McDonald’s (Manufacturing and Distribution Suppliers), Nestle USA (Food and Distribution divisions), Bergen Brunswig (Distribution), Aramark (Food), AlliedSignal and DirecTV (Content distribution operations), among others. Client programs have ranged from large-scale change efforts, organization design, team building, merger and acquisition/integration teams, and in-house executive development (executive branding) programs. Scott’s particular professional passion has been in organizational and people development that strengthen business value; strategic planning, execution methods, and leadership team building. 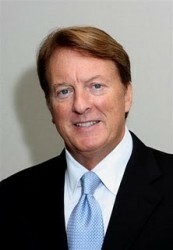 Scott is also a pioneer in the application of “collective intelligence” alignment programs. Hamilton is a frequent keynote speaker and session leader to industry trade associations, private company sessions, C-suite meetings and conferences.